Your guinea pig requires a tailored diet that is formulated to meet the nutritional needs of your pet. 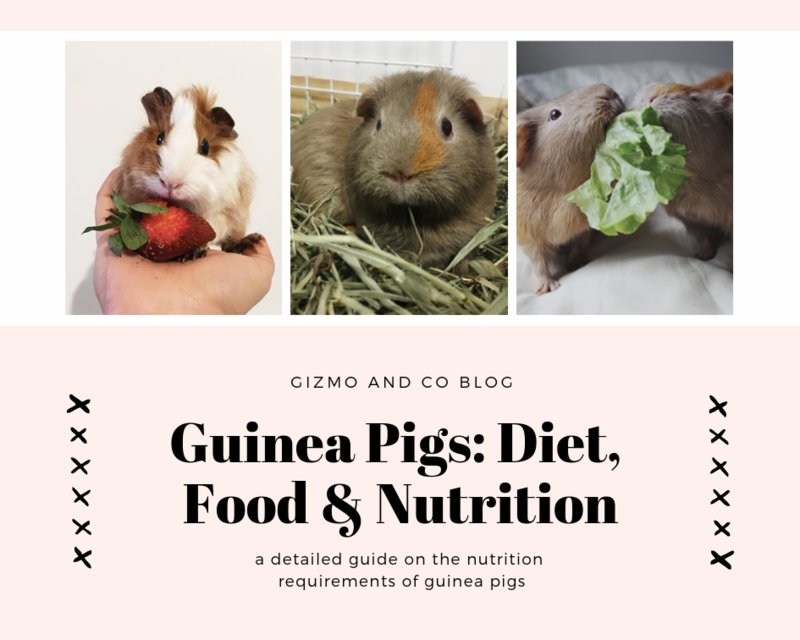 While this may seem challenging, with the proper information and understanding you can provide a healthy, well balanced diet for your guinea pig. Much like humans, guinea pigs cannot manufacture vitamin C on their own and require 10 – 30 mg daily to prevent illnesses such as scurvy. Most guinea pigs will be able to receive the required vitamin C from fresh fruits and vegetables however, baby, sick, nursing and pregnant guinea pigs require additional vitamin C which can be given to them via 100 mg chewable or plain vitamin C tablets. Do not put vitamin C drops in your guinea pigs water. Vitamin C is water soluble and will degrade rapidly once added to water. It can also change the taste of the water, which can turn your guinea pig off from drinking water. Fresh, clean, cold water should be provided for your guinea pig at all times and changed daily to prevent bacteria build up. Do not add anything to your guinea pigs water (such as vitamin c drops) as it can prevent your guinea pig from drinking water if they don’t like the taste. It’s best to use a drip water bottle for your guinea pig, as water dishes can be easily split or contaminated. 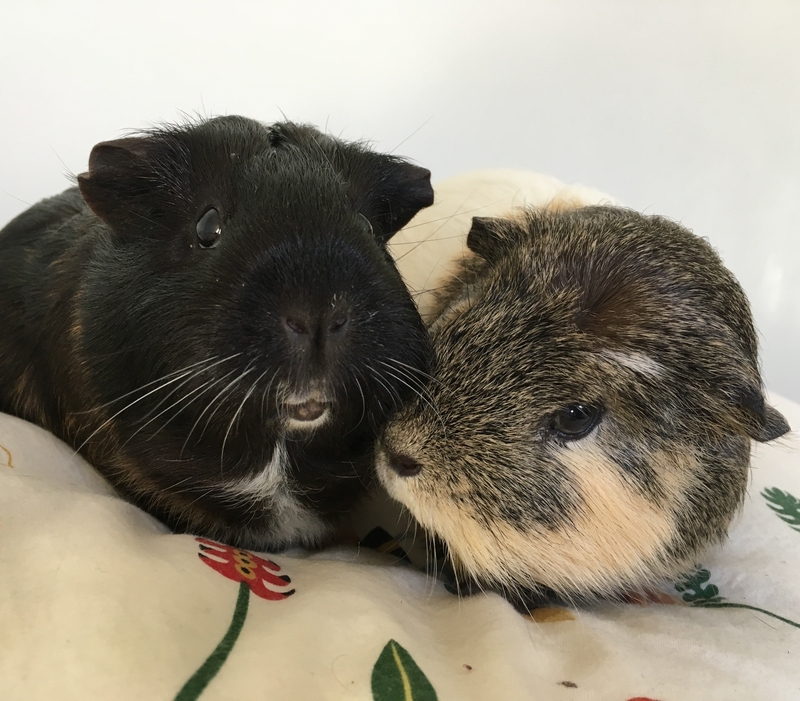 Hay is an essential part of your guinea pigs diet as it not only allows your guinea pigs to maintain a healthy teeth length, but also provides the much needed fibers to keep their digestive systems active. Guinea pigs need to be provided with an unlimited source of fresh hay in order to maintain a healthy and working digestive system. Timothy hay is the best hay you can provide for your guinea pig as it contains the right balance of fiber, protein and carbohydrates and can be eaten throughout all stages of their life, unlike alfalfa hay which should only be fed to pregnant sows and guinea pigs under six months due to it’s high calcium content. Guinea pigs can have one cup of fresh vegetables per day. The vegetables you provide for your guinea pig should always be high in vitamin c as this is something that guinea pigs bodies cannot manufacture. 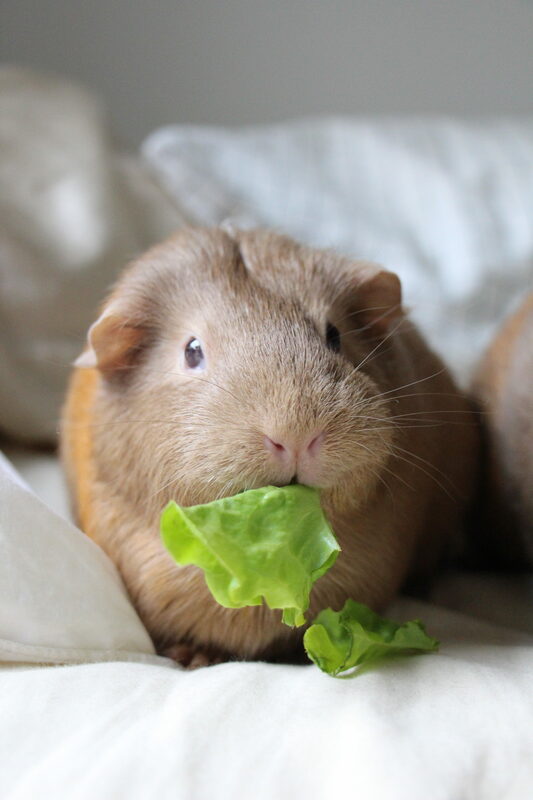 Fruits are a healthy snack for your guinea pig however as they are high in sugar it’s best to only provide fruit (like apple, banana and strawberries) two to three times per week. You should only ever feed your guinea pig fresh fruits and vegetables and you would eat yourself. Never give your guinea pig food that has expired, is moldy or is otherwise unpleasant to eat as this can make your guinea pig sick. Providing your guinea pig with fresh vegetables and fruits will ensure the heath and happiness of your guinea pig. While pellets are an optional addition to your guinea pigs diet (providing they have access to unlimited hay), not all pellets marketed towards guinea pigs are suitable for their diets. 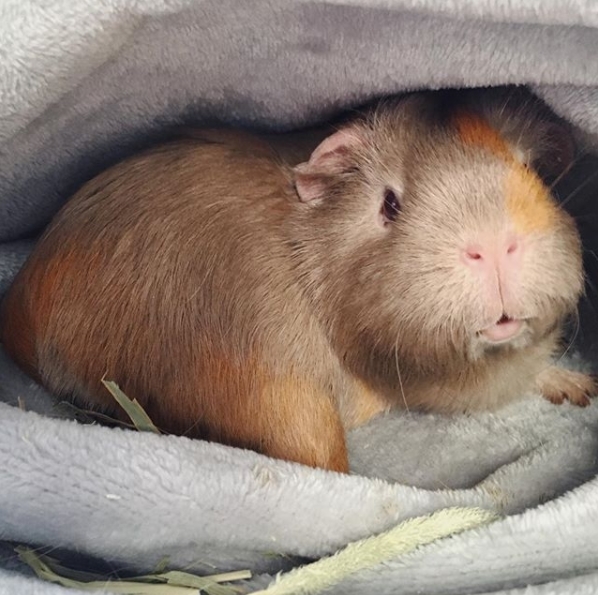 When choosing a pellet for your guinea pig, it’s important you pay attention to the ingredients and nutrition guide listed on the package and only purchase pellets that are made for guinea pigs. Rabbit, rat, or other rodent pellets can not be substituted for guinea pig pellets. Most pellets are alfalfa based, however alfalfa is best suited for young, developing and pregnant guinea pigs due to it’s high calcium content. For guinea pigs over 12 months old, it’s best to select a timothy hay based pellet, which has less calcium content and can be fed throughout all stages of your guinea pigs development. Be sure the pellets you select don’t contain seeds, nuts, or dry fruits as these not only contain too much sugar and fats, but can be choking hazards for your pet. Your guinea pig can eat 1/8 cup of pellets a day, with hay making up the most of their diet. We recommended KMS Hayloft and Oxbow Hay pellets as they are formulated to meet the nutritional guide lines of a guinea pig throughout all stages of their lives.